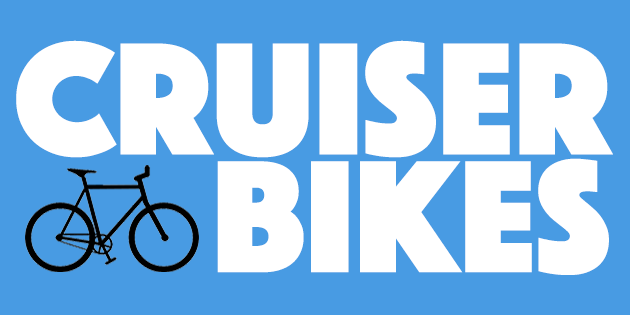 Cruiser bikes, as the name suggests, are bicycles that are used for cruising along without any competitive intent. 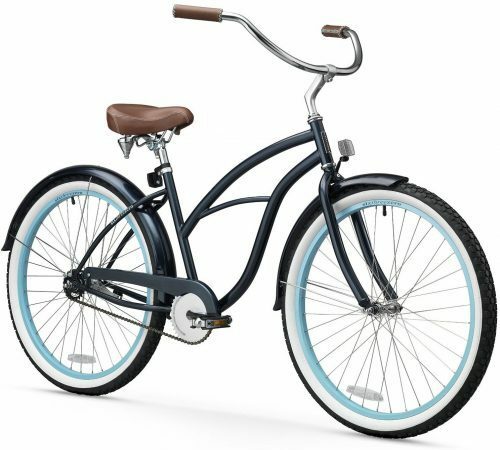 Cruiser bikes are sometimes referred to as beach cruiser bikes as they are usually designed for use in and around beach areas. However, they can be used on any surface. A biking enthusiast’s home is incomplete without a cruiser bike. The innovative features of this type of bike allows you to ride for long distances at comfortable speeds without feeling the strain of riding. The parts of a cruiser bike are usually made with light yet robust materials for enhanced durability. As the designs are kept simple, these bikes are easily customizable to match your needs. The pedals and saddles of a cruiser bike are so engineered that you get optimal riding comfort. Moreover, these aspects are alterable to suit your physique and the terrain you are riding on. All these aspects and more make owning a cruiser bike a necessity if you love biking. 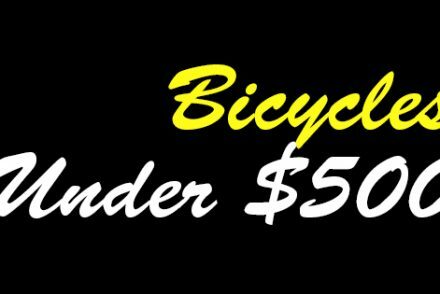 This article gives you the 5 awesome choices for the the best cruiser bikes. 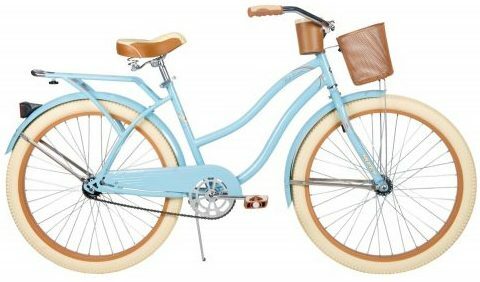 Firmstrong Cruiser Bicycle for ladies offers a relaxed riding experience. The single-speed bike has a classic feminine curvy design. It is constructed with 17-inch steel frame and has aluminum wheels for enhanced durability. The balloon tires which are white-walled lender an amazing profile to this bike while ensuring that you get a cushioned ride irrespective of the terrain. The bike features coaster brakes that are designed specifically for ease of use. The oversized seat is fitted with dual springs thereby delivering a really comfortable cruising experience. The wide adjustable handlebars fitted with rubber grips enhance riding comfort and pleasure. Moreover, this awesome bike is designed to suit women whose height is in the 5-6 feet range and hence is almost a one-size-fits-all product. 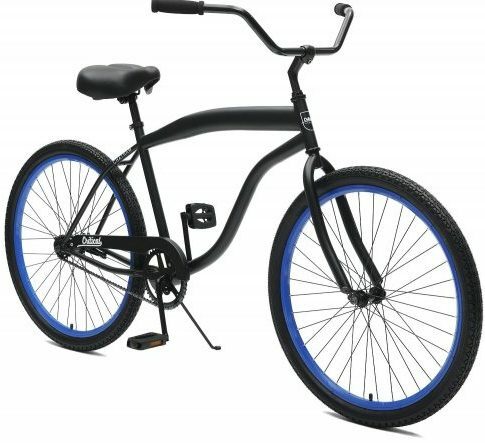 This single-speed 26-inch cruiser bike for men features an 18-inch extended steel frame and is made with forward pedaling design. 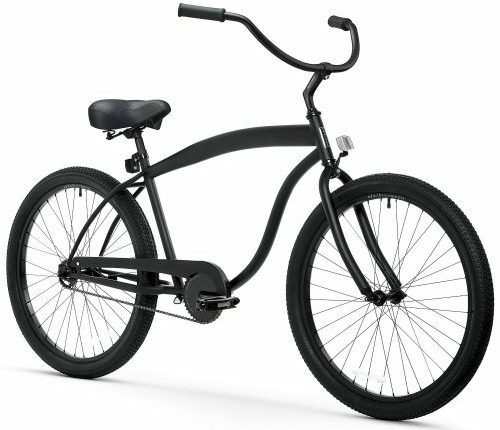 All parts, including the spokes of the wheel, are in full black giving a rather low yet appealing profile to the sixthreezero Men’s In-the-Barrel Cruiser bike. The bubble saddle is embossed in black too with matching grips. The pedals are constructed with rubber blocks for added comfort. The sixthreezero Men’s Cruiser bike is a well-designed vehicle that delivers what it promises; a hitch-free smooth bicycle ride. The Huffy Nel Lusso features 26-inch by 2.35-inch creme cruiser tires that are designed to deliver optimum cruising comfort. The bike features alloy rims preventing damages caused by various weathering elements. The classically designed fenders ensure that you remain dry during rains or while riding on puddles. The handlebar, engineered specifically for cruising, features dual-density grips thereby delivering enhanced handling comfort. The embroidered saddle with springs while being very comfortable also adds a touch of femininity to the Huffy Nel Lusso Women’s Cruiser Bike. The blue-gloss and cream tires gives the bike a classic, cool and retro-hip profile. Although the bike is very pretty to behold, it’s functionality is equally good and matches that of any sturdy bike. Sixthreezero Women’s bike is a classic 17-inch steel-framed cruiser with 3-speed shifters. It features 26-inch wheels and fenders too. The shifter system featuring in the bike consists of Shimano 3-speed hub integrated with Nexus shifter that is designed for ease of use. This dark blue glossy cruiser uses flecked paint and baby blue alloy rims and accents making it a really great-looking bike that is bound to turn heads. The comfortable bucket saddle is a classic brown with complementary color stitching. The grips come in the color matching the saddle. The rubber block comfort pedals enhance the riding comfort and joy. This stylish cruiser is sure to win compliments as you take it out on a leisurely cruise. 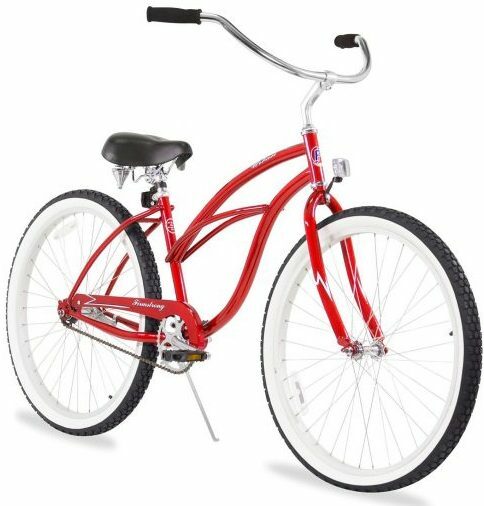 This classic-frame 26-inch beach cruiser features a soft comfortable saddle, wide tires, and soft-foam grips all of which enhance riding comfort. The hand-crafted steel frame is designed for improved shock absorption and also offers a smoother ride than aluminum. The Critical Cycles Chatham-1 is a single-speed bike and comes with kickstand and coaster brakes. 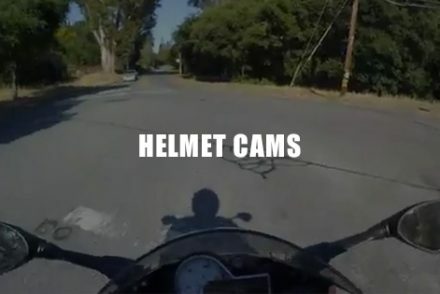 The handlebars are fitted in a comfortably high position allowing you to get an upright riding posture. The great-comfort cruise bike’s chunky and broad tires are perfect for beach use and also in not-so-great surfaces. The seats are comfortably large and the bikes rides robustly in all terrains. 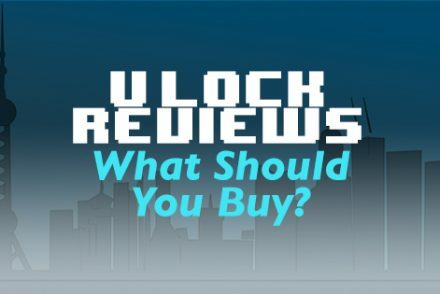 It is a great value-for-money product. A cruiser bike is ideal to get maximum joy of riding a bicycle without the pressure and, sometimes unnecessary, adrenaline-pumping aspects of performance usually associated with sports. Cruiser bikes allow you to cruise along leisurely and gives you a refreshing yet great fitness regime. So don’t hesitate to invest in a good cruiser bike that you can use on any surface with gay abandon and come home feeling like you have had a great training routine. I hope you found this article helpful and useful. Do let me know.